David G. Anderson is Professor of Anthropology and Chair in Anthropology of the North at the University of Aberdeen. He was the leader of the collaborative research project entitled BOREAS Homes, Hearths and Households in the Circumpolar North and is presently the PI of an ERC-funded advanced grant entitled Arctic Domestication: Emplacing Human-Animal Relations in the Circumpolar North. He is the author of a monograph on Taimyr Evenkis and Dolgans, and the editor or co-editor of several collections published by Berghahn Books, most recently, The 1926/27 Soviet Polar Census Expeditions (2011). Robert P. Wishart is Lecturer at the University of Aberdeen. His ethnographic work has been on the Gwich’in-Dene of the Mackenzie Delta in Northern Canada, with the Ojibwe of Ontario, and with Scottish fishers. 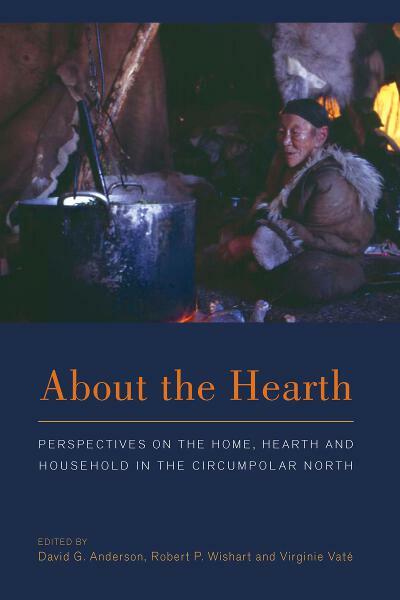 He led an associated project on vernacular architecture in the Gwich’in settlement area for the HHH research consortium and is now a team member of the ERC funded project Arctic Domestication: Emplacing Human-Animal Relations in the Circumpolar North. Virginie Vaté is an anthropologist, researcher at the Centre National de la Recherche Scientifique (CNRS) in France. Since 1994, she has been doing research in Chukotka (Northeastern Siberia) and, since 2011, in Alaska. Within the ESF/BOREAS collaborative framework, she led an associated project on conversion to Christianity in Chukotka for the research program NEWREL (New religious Movements in the Russian North).